We got a little snow! So Ohiophotogirl told me I could go outside today and build a snowman. 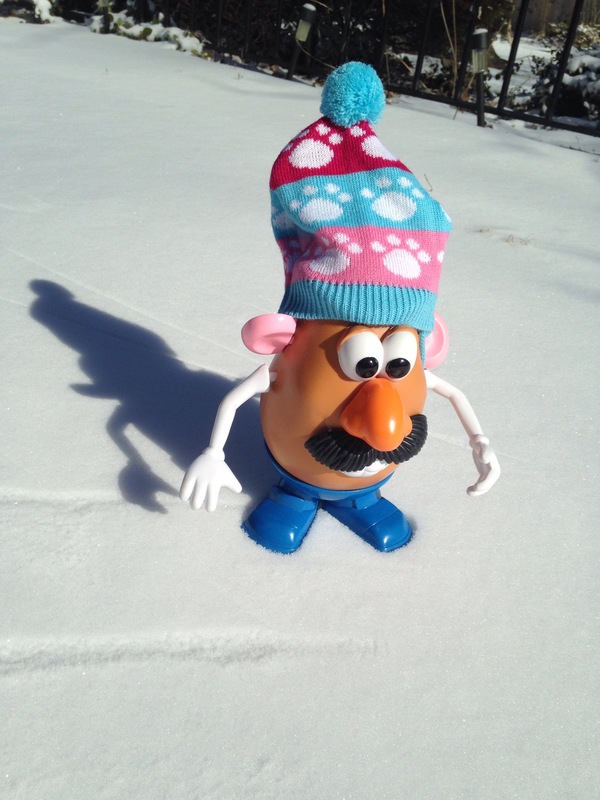 So I bundled up a bit…. 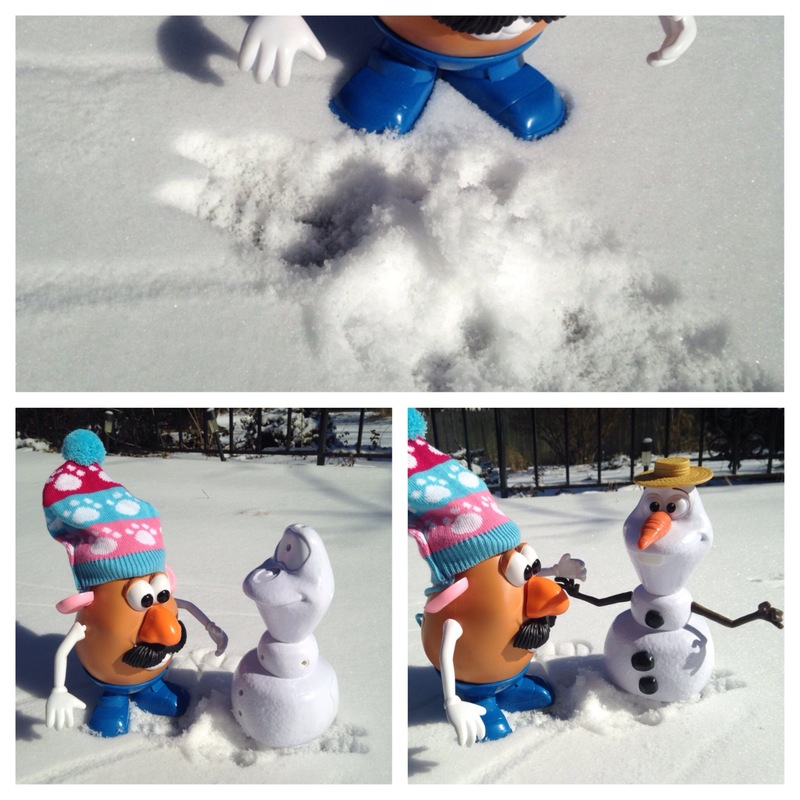 I googled how to build a snowman. I collected a hat, some coal, a few sticks and a carrot and went outside. Then you make a snowball and roll it. You do this 3 times. So here are the pictures ohiophotogrl took while I did all the work. When I put that hat on his head he came to life! It was magical. Ohiophotogrl says we can keep him but he has to stay in the garage where it’s cooler. He gives great warm hugs! We are gonna go play now! This entry was tagged blog, fun, kid friendly, laugh, Mr. 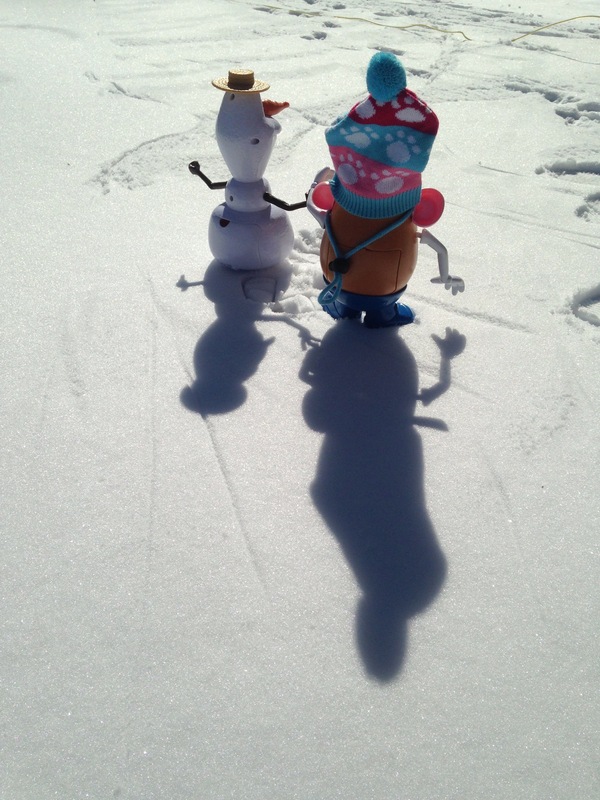 Potato Head, olaf, snow, snow storm ohio weather, snowman. Bookmark the permalink.